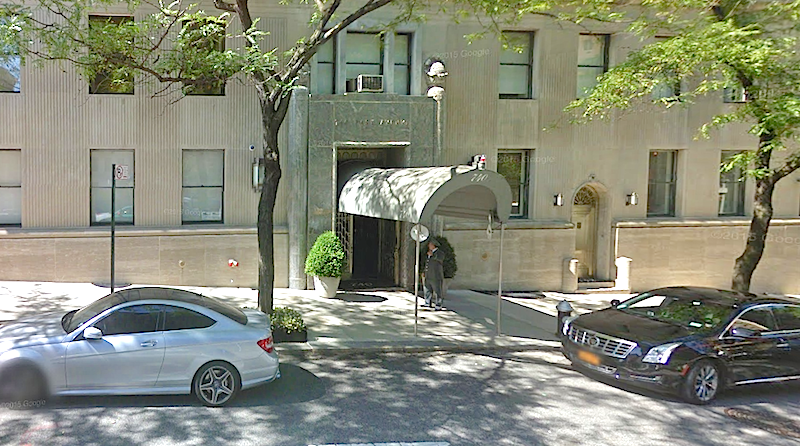 Four years of renovations by Oaktree Capital billionaire Howard Marks at his 720 Park Avenue address has finally driven his neighbors to sue. The man has 30 rooms, six terraces, two dozen closets, two chefs kitchens, two libraries, and two offices in his 22,000-square-foot duplex, so it will take definitely take outside intervention to end the construction. The despair of the rich over their co-op board infighting will never cease to amuse, but if I paid $200,000 a year in maintenance charges to have a drill wake me up at 6 a.m. every morning I’d be whining about it too. Vanity Fair reports that things have finally come to a head between Marks and his downstairs neighbors Hamburg and Miranda Tang. Though the building requires work take place between the hours of 8:30 A.M. and 5 P.M., and only between May and September, when many dwellers are presumably in Southampton, the suit alleges that Marks’s workers start as early as 6 A.M. and the project has gone on without interruption for four years, without regard to the time restrictions. “Miranda Tang has been abruptly awoken almost every morning before 9 a.m. by the sounds of heavy machinery, banging, crashing, hammering, and drilling, which shook her out of bed and prevented her from being able to rest and sleep peacefully in any bedroom,” the suit says. She has even tried going back to sleep in other bedrooms in her duplex, to no avail. The noise is just too loud. Aside from the noise, they also complain that all the work above has shaken the molding and cabinetry in their space, and a bedroom ceiling collapse in 2014 caused $10,000 worth of damage. Millionaires can’t escape Wall Street bros either.